I do plenty of outfit repeating, but I try to space out those repeats so I don't feel like I'm wearing the same thing all the time. However, I have seasons where I reach for particular items again and again, and while I may not be repeating entire outfits, I can't seem to get enough of a certain top, jacket, or dress. 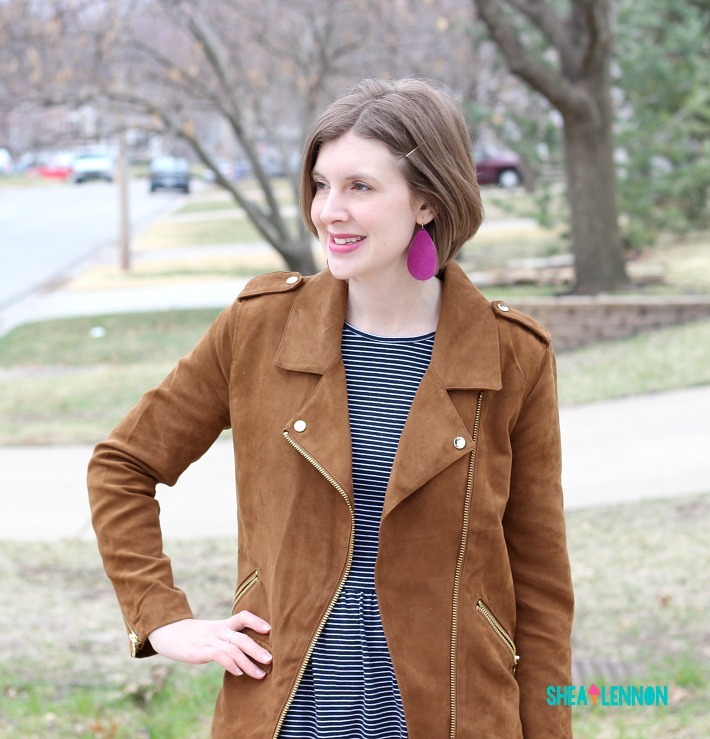 Lately that has been the case for this faux suede moto jacket and also this striped Gap dress from ThredUp. It was about time that I put the two together. I bought the jacket at H&M while I was pregnant with Violet, but I still love it and feel just a little bit cooler every time I wear it. On days that I don't have to wear my heavy coat, lately it's been a go-to jacket. Recently I've also been wearing the heck out of this striped dress. I love that it has the fit and flare shape but isn't overly fitted. I like a dress that allows for a good-sized lunch! 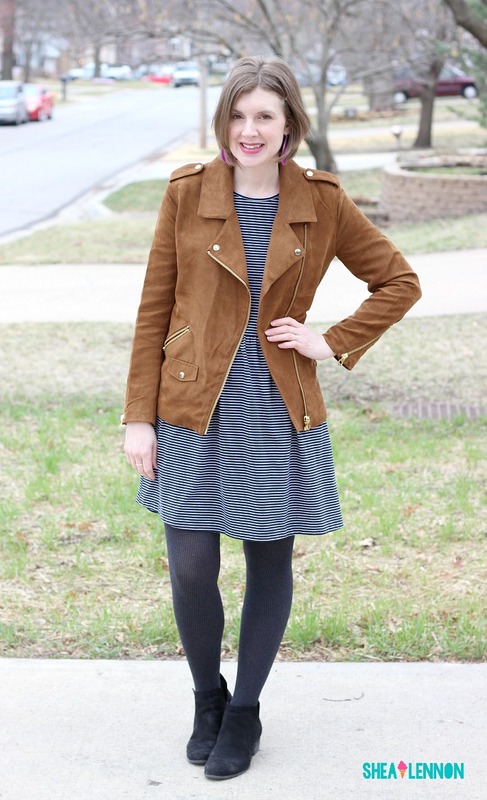 I paired my two go-to items together for church this weekend, and added tights and ankle boots since it was pretty chilly outside. 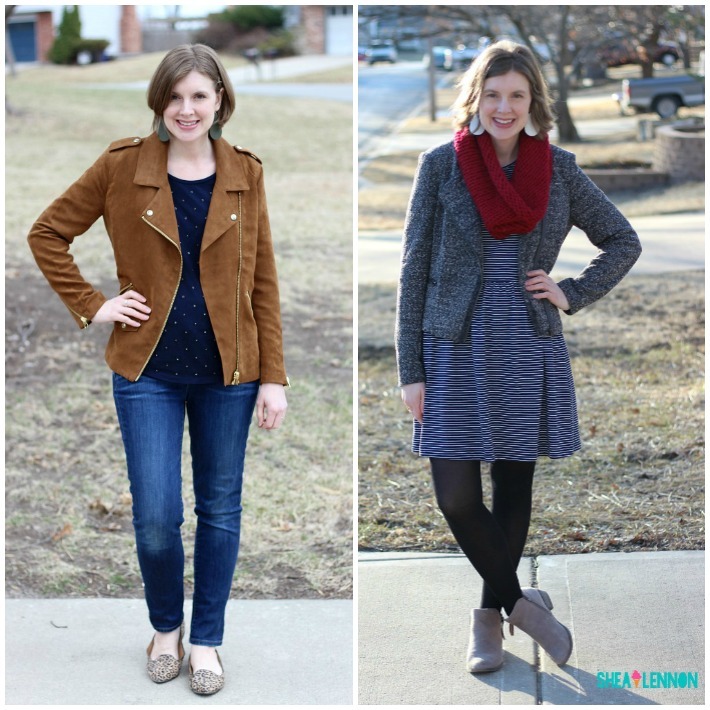 What are your wardrobe go-tos lately? Oh, and how the photo shoot really goes... Most of the pictures looked like this. Wrangling a toddler is no small feat. 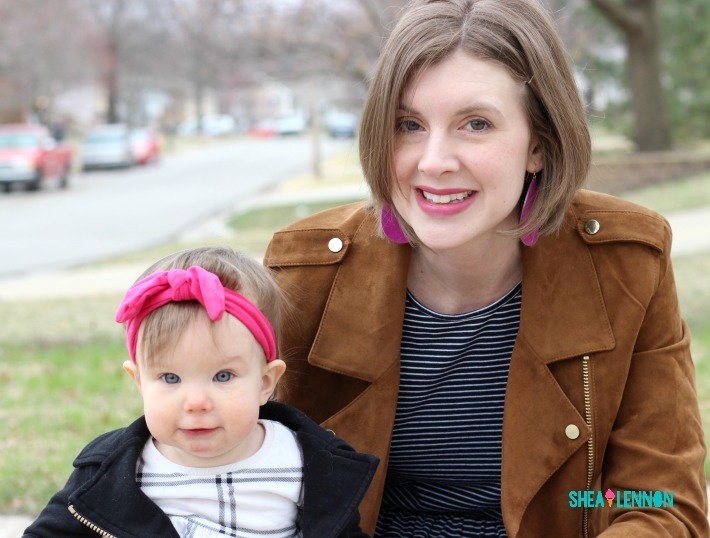 Linking with Oh Hey Girl, On the Daily Style, and Thursday Moda. 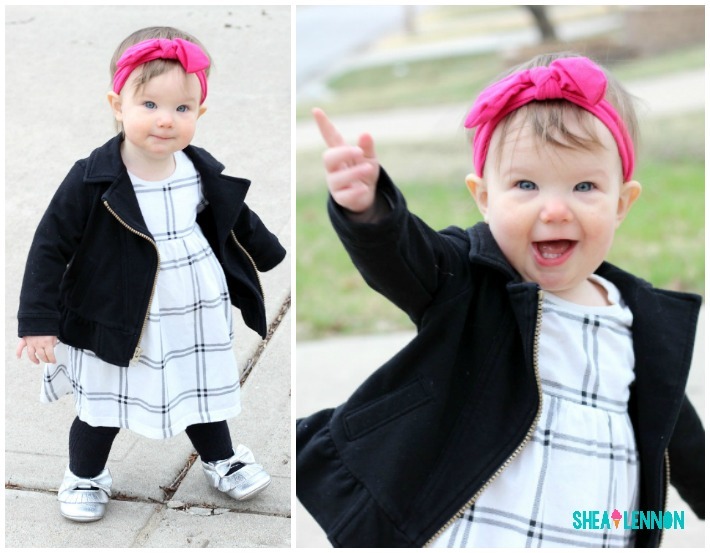 I’m not a fan of super fitted clothes either, so this dress is so my style! I love the combo with the jacket too!